A tummy tuck is a popular procedure for mothers who would like to reverse the changes to the abdominal region caused by pregnancy. Often, a tummy tuck can have a dramatic impact on your appearance, helping you tighten loose abdominal muscles in order to restore the toned, fit stomach you enjoyed before having children. One of the most common questions our plastic surgeons hear during tummy tuck consultations involves how long to wait after pregnancy before undergoing the procedure. While there is no hard-and-fast rule regarding the timing of your tummy tuck, our surgeons recommend following some general guidelines. Are you planning on having more children in the future? If so, it’s generally best to wait until you’re done with this phase of your life before you undergo a tummy tuck. While a tummy tuck won’t impact your ability to have children down the road, future pregnancies can potentially have a negative impact on your results. It is common for your abdominal muscles to stretch during pregnancy, and you may also find that you have some loose, hanging skin or additional fat in the region after childbirth. Depending on the severity of these issues, you may be able to restore your results with a revision procedure. However, in some instances you may require another full tummy tuck. In order to ensure your results last as long as possible, we recommend waiting until you are done having children before getting your tummy tuck. This decision becomes a little trickier if you’re unsure whether you will have more children. In this situation, we still recommend waiting a little while until you’ve figured out your future family plans. However, if you’re most likely not going to have more children but haven’t ruled out the possibility entirely, you may want to move forward with the procedure. Just keep in mind that if you decide to have more children down the road, it will most likely impact your tummy tuck results. Pregnancy takes a toll on your body, and you will need to give your body some time to recover before undergoing major surgery. Taking care of a baby requires a lot of hard work and heavy lifting, and you won’t be able to do this work while you are recovering from your tummy tuck. This will place additional strain on your husband to shoulder the majority of the work involved in caring for your baby. Breastfeeding often results in hormonal changes that may adversely impact your tummy tuck results. You won’t be able to breastfeed after undergoing anesthesia or while you are on painkillers. You’ll achieve a better outcome if you wait until you’ve lost the extra baby weight and have returned to your ideal weight. The first few months of your child’s life are an important time. There will be a lot of work to do to care for a newborn, and it is common to be sleep deprived until your baby settles into more of a routine sleep schedule. These factors don’t create an ideal recovery situation. In order to achieve the best possible results and to ensure you are physically able to handle the work associated with raising a young baby, our plastic surgeons recommend that you wait a minimum of six months before having a tummy tuck. Keep in mind that six months is the absolute minimum timeframe. Ideally, it would be best to wait at least a year. During your initial consultation, our surgeons will discuss these factors with you in detail in order to determine the right time for your tummy tuck. 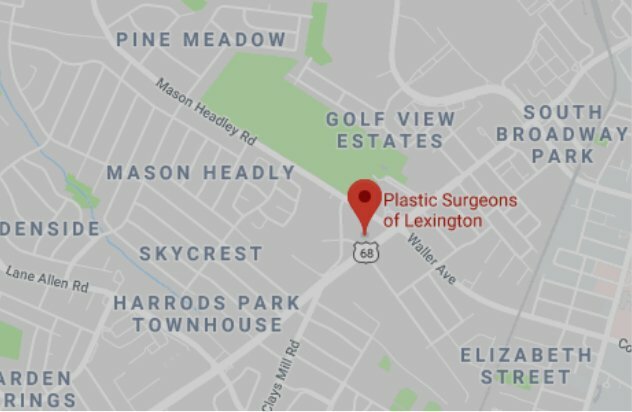 Please contact Plastic Surgeons of Lexington using the form on this page or call 859-276-3883 today to schedule your tummy tuck consultation. We serve patients in Lexington, Frankfort, Georgetown, Nicholasville and the surrounding areas of Kentucky.